Mix and match any 16 oz size jars of dill flavored pickles or our many wonderful flavors of relishes. Please check the individual flavors for ingredients list. From Anonymous of Plainfield , Indiana on 10/7/2018 . None of the local stores have it in stock. So, we order it online. The only reason I can think of for this situation is that your product does not move fast enough probably because of price. This is ridiculous because we find it good enough to warrant the shipping as well as the product price. From Anonymous of Johnson City, Tennessee on 4/28/2018 . I ordered the case to share with family. Best pickles from childhood. So happy this is available. From Anonymous of Kokomo, Indiana on 4/9/2016 . Personnel was great working with going above and beyond. They worked with me to get a better price at what I wanted. Also worked with me as UPS caused a delivery problem. Can't say enough good things about them. From Sue Frazier of Greencastle, Indiana on 6/26/2015 . 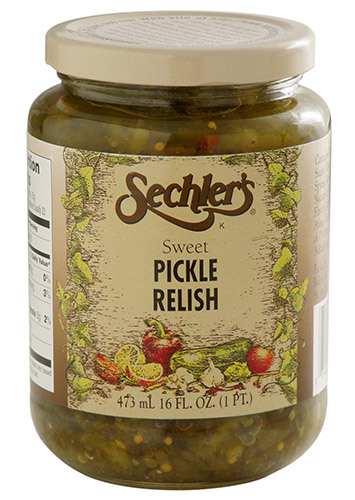 I have been ordering Scheler's pickles from you site for about 3 years now. I was buying them at our local Kroger store and they now only carry a couple of varieties. It is so wonderful that I can order what I want, mix and match, and have them delivered to my door. Thank you for all you do and keep up the good work.